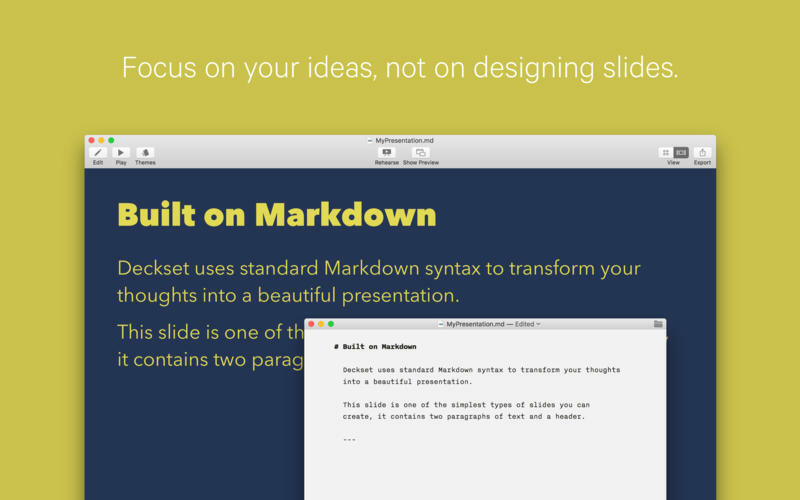 Deckset is a new, simple way to create presentations. Open your favourite text editor, write down your thoughts and Deckset will turn them into beautiful presentations. Focus on your ideas, not on designing slides. Deckset comes with 15 amazing-looking themes that are designed to work for any audience, whether it’s a business meeting or a tech conference. 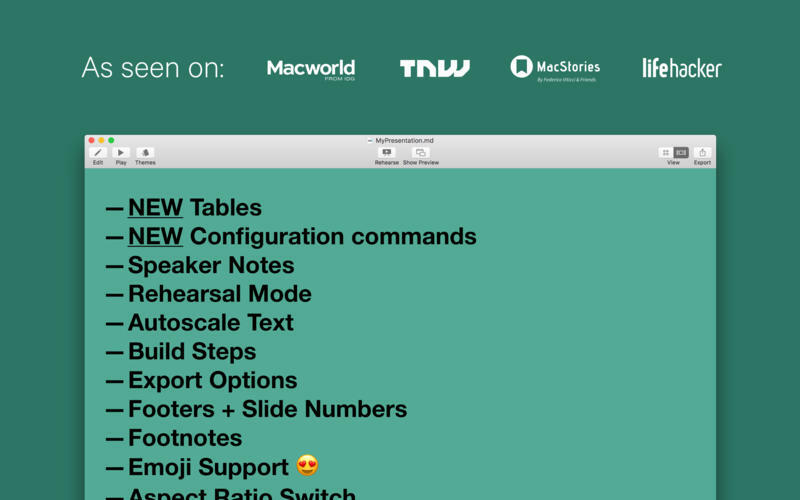 Deckset is not meant to be a replacement for feature-heavy apps like Keynote or PowerPoint. It is a simpler, faster way to create presentations. 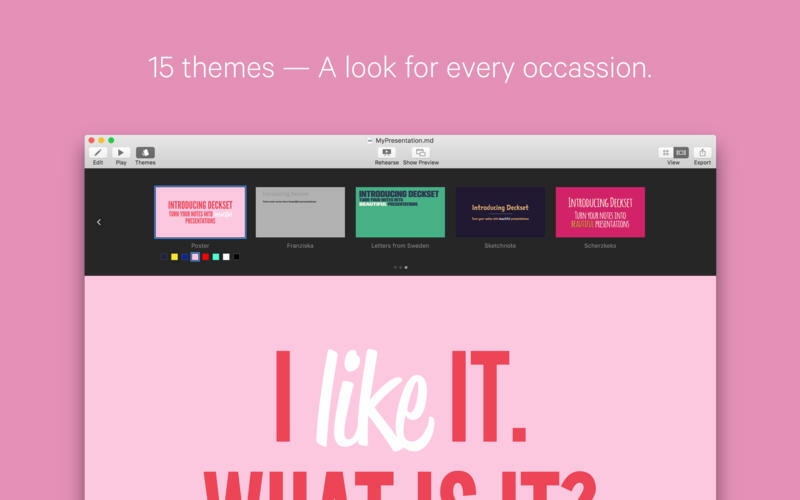 You don’t design slides, you concentrate on the content – Deckset will make it look great. 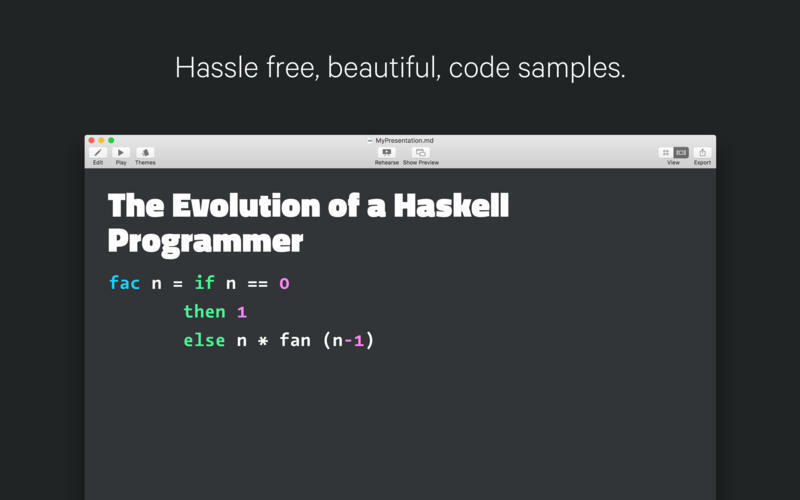 All you need is your favorite text editor and your ideas. If you have any questions or feedback, please don’t hesitate to get in touch. Visit  http://www.decksetapp.com/support/ for support and feedback. + Tada! Deckset now supports tables. + You can now enable or disable presentation features (e.g. autoscale, build-lists) on each slide individually. + Improved documentation, now available from the “Help” menu. + Refreshed UI, allowing for more control and ease of use. + Support for tabs, you can now work on multiple presentations within the same window.